Somehow, NBA 2K13 has managed to have a three-stage cover reveal. First, there were the stars. Then the cover added in Jay-Z as an executive producer, right there under the logo. Now, as first noticed by 360sync.com, we see the Xbox 360 box art, and notice it says "Better with Kinect." 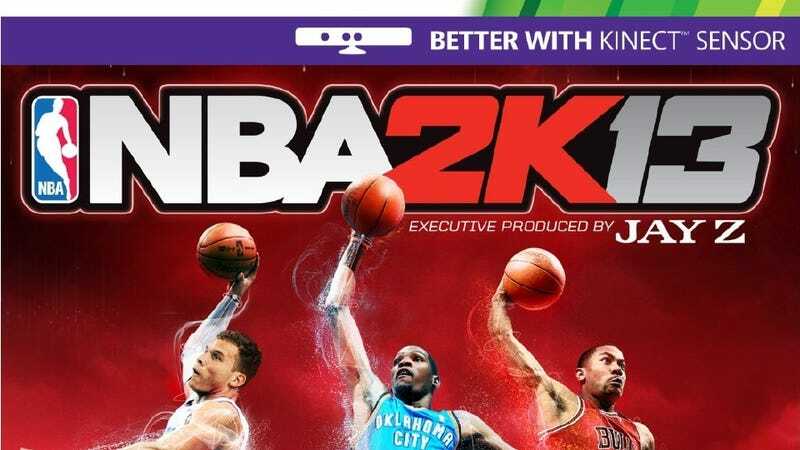 Sports simulations so far haven't fallen into the trap with Kinect that some did with PlayStation Move (including NBA 2K12, folding in casual motion-control schemes or mini-games that seemed to use a motion controller simply because it was there. If NBA 2K13 is using Kinect, I'd expect this to involve voice commands and very little else. I've not heard anything official but it's reasonable to think Kinect will let you call for a ball or tell a teammate to shoot in the "My Player" career mode, or to change defenses or run a play in any of the team modes. FIFA 13 is already confirmed as doing these sorts of things. When reached by Kotaku, a 2K Sports representative declined to comment.